When it comes to factory resetting your locked iPhone, a lot of question comes in the mind of users. Whether it is safe to do or will it harm the device's performance or how can I proceed with it and the like questions can bother. However, we would gladly like to inform you that with this article, you are going to get the best knowledge for the same. 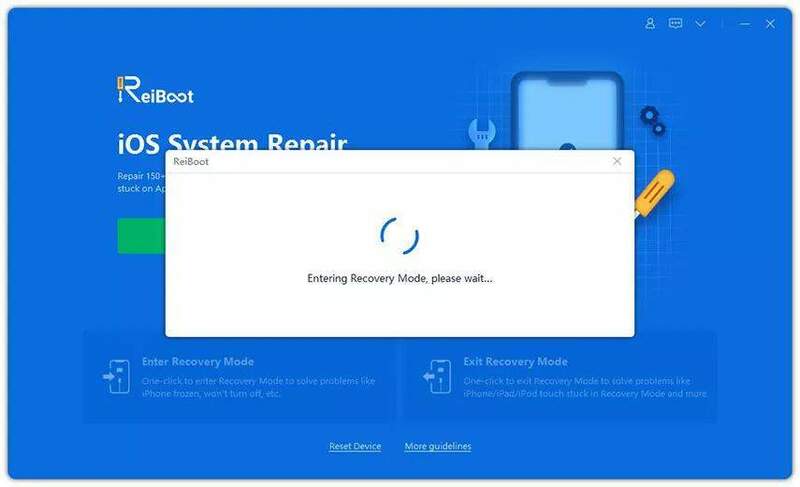 We will tell you how you can factory reset a locked iPhone using three different simple methods. Stay there and carefully read the article to get the most out of it and figure out what method suits you the best. 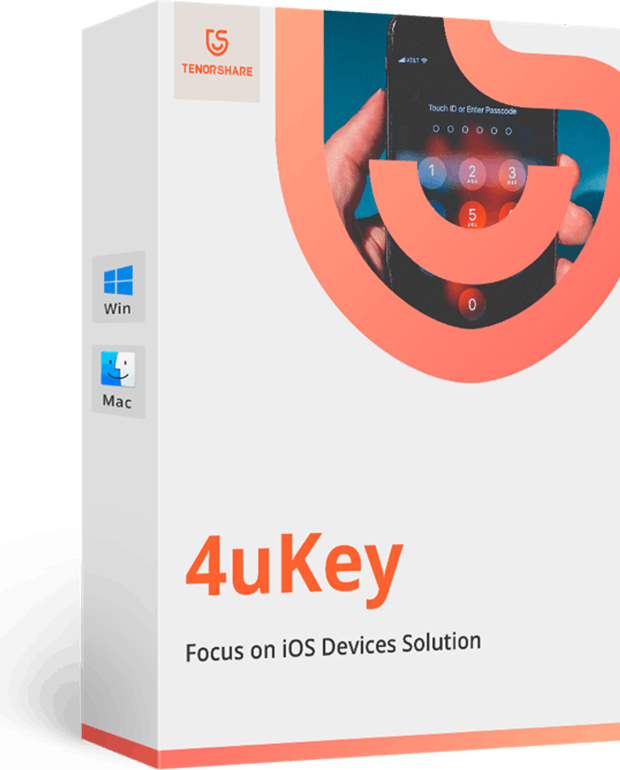 While looking for the most reliable way to factory reset locked iPhone, you can't miss Tenorshare 4uKey. This amazing tool can run both on Mac and a Windows computer, allowing you the flexibility to work at your own convenience. Within few minutes, you can bypass the iPhone passcode and get rid of any kind of password, be it a 4-digit/6-digit passcode, Face ID or Touch ID. It supports iOS 12 and the latest iOS devices such as iPhone XS/XS Max/XR. Moreover, its factory resetting property without passcode is really commendable. Now, that you are well aware about Tenorshare 4uKey, how about going through the nitty-gritties of factory resetting your locked password? From the official website of Tenorshare 4ukey, download the software on your Windows PC or Mac. Once the download process is complete, run the program to initiate the process. Using your lightning cable, connect your iPhone and computer. Allow the software to auto-detect your iPhone and then hit the 'Start' button on the program interface afterwards. As soon as the 'Start' button was hit, you will be prompted to download the latest firmware package for your iPhone. Select a save path followed by the 'Download' button. Once the firmware is properly downloaded, tap the 'Unlock Now' button for getting rid of the iPhone passcode. Your locked iPhone has been successfully factory reset using Tenorshare 4uKey. Now that you have successfully removed the iPhone passcode and factory reset the locked iPhone, it's time to set up your device afresh. Starting from iPhone passcode to Face ID and Touch ID can be reset. You can restore your iPhone using your available iTunes or iCloud backup. This was how to factory reset locked iPhone using 4ukey. iTunes is the official way of restoring the iPhone to factory settings. We are going to jot down the steps for the same in this section. Please have a look and learn how you can execute the process. Launch iTunes after updating to the latest version on a pre-trusted computer. Get your iPhone connected to the computer through a USB cable. Now, you are required to choose the device icon from the top left corner of the iTunes interface followed by 'Summary'. Click on the 'Restore [your device]' button later and confirm the actions to complete the process. Well, you've been locked out of your iPhone and hence, you cannot factory reset your locked iPhone with the regular 'Erase all content and settings' method. Therefore, we're going to do this other way round with the help of iCloud's Find my iPhone feature. Let's understand the tutorial for it. Gain access to your PC and launch the internet browser over it. Head to iCloud's official website and sign in to your iCloud account that has been configured with the locked iPhone. Now, from the iCloud's main screen, hit on 'Find My iPhone' icon and you'll be redirected to a new screen where you can locate your locked iPhone. Next, hit on the 'All Devices' tab available on the top-mid section of your screen. Here, you need to select your locked iPhone from the appearing drop down menu. Lastly, hit on the 'Erase iPhone' button after you've opted for your locked iPhone. 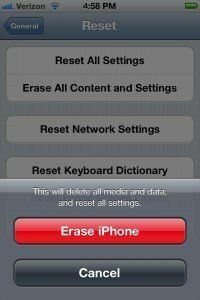 Confirm you actions by tapping the 'Erase' button to factory reset your locked iPhone. 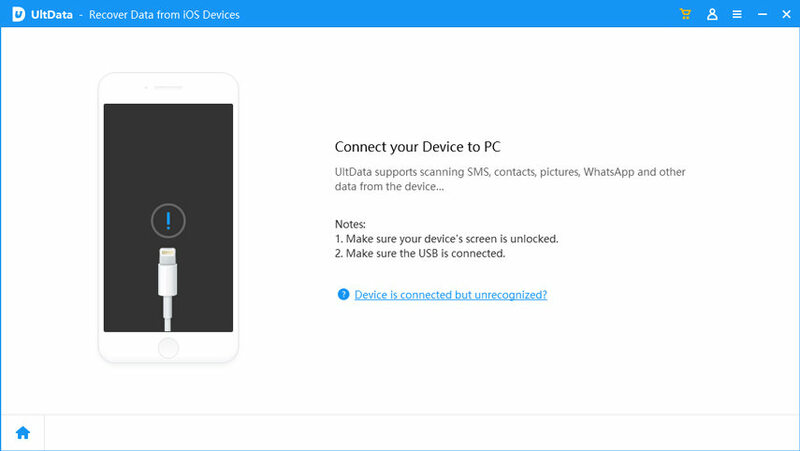 We offered you some ways to factory reset your locked iPhone. We hope that now you understand well the gravity of each process and how to exercise them. However, if we're asked, we would give Tenorshare 4ukey the first rank as compared to other two methods. Since it is comparative smooth to work with as well as completes the process faster than others, one can go for it without any doubts. Concluding the topic here and hoping you got what you needed before reading this post! Thanks!